How do I view and configure a product? How do I view the changes I have made? How do I receive the model by email? How can I request a quote (single and multiple products)? 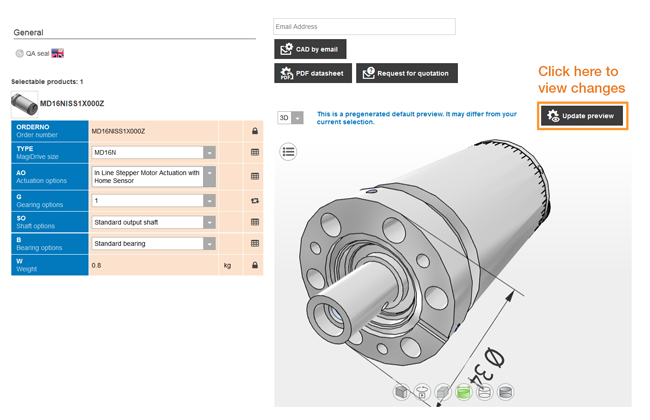 If you still need help with the Product configuration tool please contact us and we will be happy to help. Tip: the model can be rotated using your mouse or to move (pan) the model press and hold both the right and left mouse buttons whilst moving the mouse. 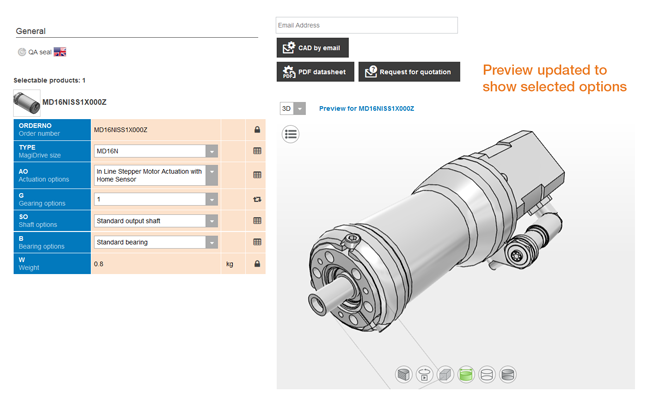 When you have selected the options you require, click 'update preview' to display the updated product model. Tip: On slower internet connections it may take up to 14 seconds to generate the preview model. 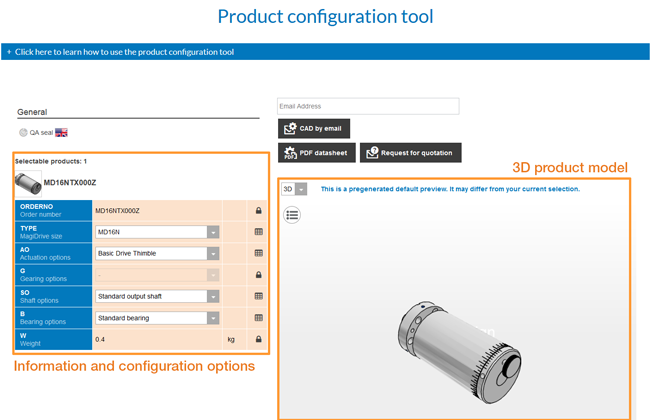 When you have configured the product as required, you can choose to receive the model by email in your preferred format. Simply type your email address into the 'Email Address' field highlighted below then click 'CAD by email'. 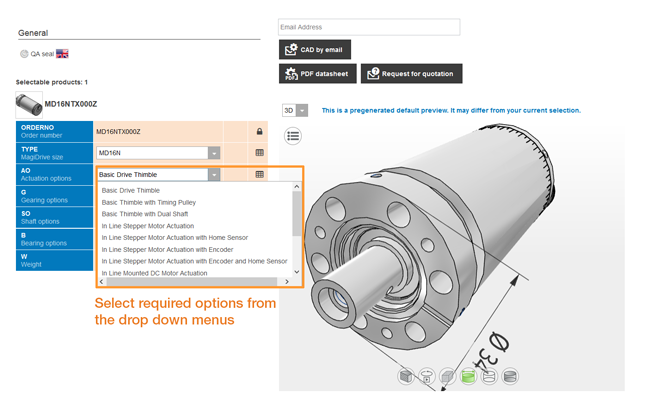 Select the required CAD format from the drop down list and then click 'Send Email'. If this is the first time you have requested a model you will need to complete the basic registration form (as shown below) then click OK to have the model sent to your email address. Note: You will only have to do this step once. When you request further models you will only need to enter your email address and click 'Send email' to automatically receive the file by email. To request a quotation for a single product, simply configure the product as you require, enter your email address and then click 'Request for quotation'. You may need to provide additional information. The part will now be added to your Enquiry list. You can view your enquiry at any time by clicking on the 'My Enquiry' button at the top of the page. Please do not hesitate to contact us and we will be happy to help.